Spin for your FS shares! No slowing down in January! 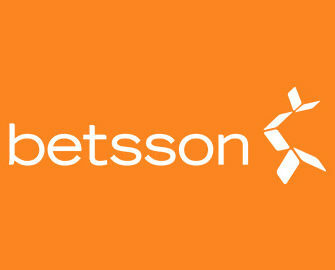 Truly amazed at the sheer amount of promotions the team at Betsson is launching every month. There was me thinking they would be slowing down significantly after their huge 35-chapter long Christmas Tale but positively surprised now that the contrary is the case. Just 24 hours after publishing their Daily Treats promotion they have the next fabulous 5-day offer to be devoured exclusively by players from Austria, Finland, Germany, Iceland, Netherlands, Norway, Poland, Sweden and Switzerland. They will be giving away a humongous 50,000 Free Spins within 5 days, making it 10,000 Free Spins for every day. Each player can earn a share of the spins by playing on selected games, the more they wager the more shares of the pot will be allocated to their account. Get your share of 50,000 Frosty Free Spins. The promotion runs from 4th to 8th January 2017 and will see 10,000 Free Spins per day equally shared among qualifying players. Shares are easily earned at a rate of 1 / 100 spins on the selected game with no limit to the amount a player can collect on any given day. Doing the spins at minimum bet value is sufficient and play on desktop, mobile or tablet qualifies with Mobile App being excluded. The shares of the daily Free Spins pot will be credited to qualifying accounts the following day by 18:00 CET with the exception of those from the weekend, which will be all credited on Monday. The spins expire at 23:59 on the day they were added and winnings from them carry a 35x wagering requirement within 24 hours. Betsson Bonus Terms and Conditions apply, read them carefully. Launched in 2001, the casino is operated by BML Group Ltd. and holds MGA Malta and UK licenses. 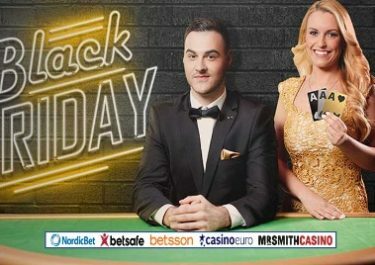 Betsson offers Sportsbook, Poker, Bingo, Scratch Cards, Games, Casino and Live Casino with games from acclaimed suppliers such as Netent, Microgaming, Jadestone, Play n’GO, Realistic Games, Quickspin and Evolution Gaming.